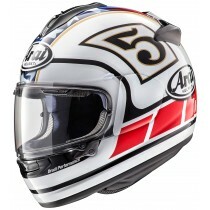 To celebrate a long and succesful career, the Chaser-X has introduced the Colin Edwards legends replica. 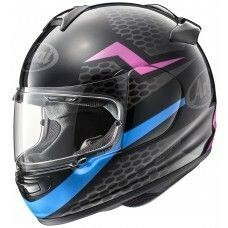 Available in 2 colours, the Chaser-X features FCS (Facial Contour System) and a fixed, non-retractable mini chin cover. 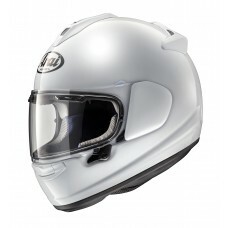 The chin vent is also new, while the Formula One developed visor lock system is the same as used on the RX-7V. 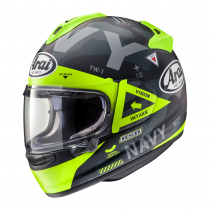 All Chaser-X helmets come with a standard Max Vision visor with a Pinlock inlay lens separately packed in the box. 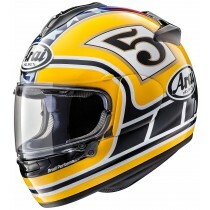 PLease note images shown are on an Arai RX-7V shell for illustration purposes only. 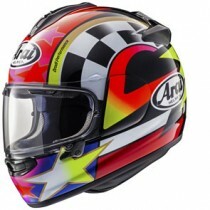 A brand new colourway has been included to the Arai Chaser X range. 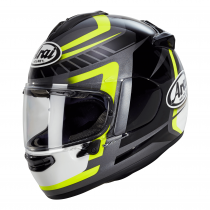 The Chaser X Cliff is available in 2 fantastic colour options and includes features such as a pinlock inserted lense. 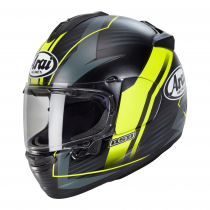 All Arai helmets are handmade to the highest standard to ensure maximum safety and comfort to ensure the best possible riding experience. 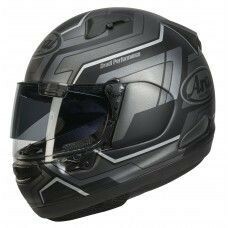 The Arai Chaser-X Navy is available in 2 different colourways and is perfect for those that want that sporty feel and look whilst riding. 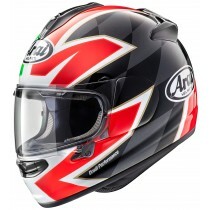 The Arai Chaser-X helmets has been derived from technologies used on the RX-7V and is also hanmade, just like all Arai helmets. 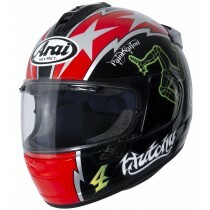 A brand new model is the Arai Chaser-X Xenon which is available in 2 different colourways. 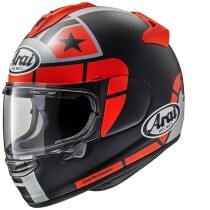 The Arai Chaser X uses technology derived from the Arai RX-7V such as the VAS ( Variable Axis System) which offres a larger and smoother helmet shell. 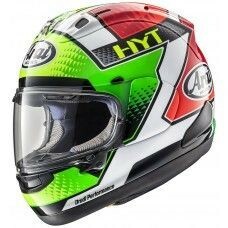 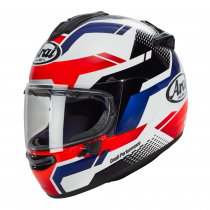 The Arai X Pace is a brand new colourway and is available in 2 different colour options.